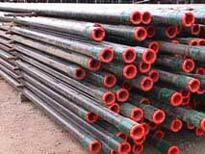 Welcome to the web site of the premier applicator of corrosion control services to enhance performance and extend the service life of rebar, oil tubing, and steel pipe, featuring the Fletcherkote fusion-bond powder coating process for corrosion protection. 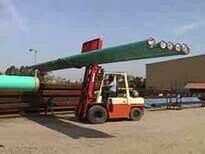 In addition, Fletcherkote products offer the most efficient and cost-effective corrosion control systems available to improve your productivity, performance, and profitability in the oil producing, transportation, water-works and construction industries. 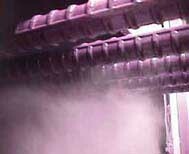 The cost and inconvenience of replacing steel deterioration due to corrosion far exceed the minimal initial investment of powder coatings. Concrete structures collapsing, traffic disruption, rehabilitation costs passed onto tax payers, water pipeline ruptures, oil well rig down time can be minimized once the correct corrosion protection system has been determined. With the Fletcherkote fusion-bond powder coating process for corrosion protection, specialized technology is practiced where the powder coating is “bonded" to the steel by means of preheating the steel and electro-statically spraying the powder onto all surfaces where it “fuses" on contact into a continuous encapsulating cured film. 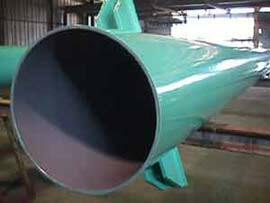 With the coating permanently in place the scientifically engineered blend of powder materials prevent chemicals and moisture from reaching the surface of the steel. This protective “barrier" of coating reduces the rate of corrosion by providing a physical separation between the metal surface and the corrosive element. At one end of the corrosion protection service spectrum is the volume operation, where success is often measured in terms of speed and throughput. 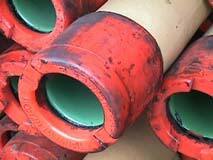 At Fletcher Coating our service focus mandates no compromise of quality in the name of efficiency. 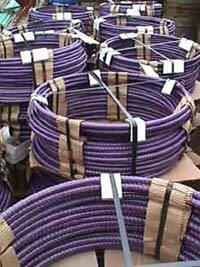 Certainly, our diverse service organization has demonstrated large production capacity previously; our repeat business is a result of meeting and exceeding our client’s expectation when Fletcherkote powder coating services are ordered, which will meet not only the specification, but also the protect the steel against the aggressive nature of the corrosive environment. Dedicated to the highest quality standards available in the protective coating industry and through an in-house program of integrating industry specifications for product assurance, our company’s mission is to continue to provide responsible leadership for the protective coating service industry while supplying the best corrosion protection available and service coordinated to specification. In this new century, we are poised and eager to being a service-partner whom brings coating service expertise to help individual contractors manage risk, cost-effective corrosion control methods to help specifying engineers and end user’s meet or exceed their performance goals. © 2000 - 2006 Fletcher Coating Company. All Rights Reserved. 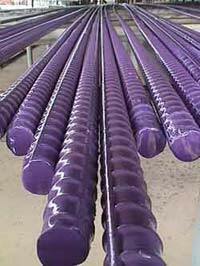 Torque-Guard-Prefab-Purplekote are all trademarks of Fletcher Coating Company.